Glenn is a Certified PGA Member, Advanced in Coaching & Game Development. 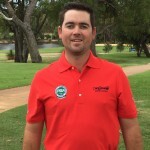 Prior to arriving at Carramar, Glenn was the Teaching Professional and Master Fitter at the GolfBox Performance Centre in Booragoon where he used various biomechanics analysis tools to help golfers improve. His understanding of the golf swing and human movement allows him to assist golfers of every level while explaining his concepts in a way that is easy to understand. Michael arrived here from South Africa in 2008. He is a highly qualified club fitter and exeptional golf tallent with over 15 years experience in the industry. Cameron has been playing golf for 15 years and was a member of Wanner Golf Club. Cameron has started his 3 year traineeship with the PGA of Australia with the vision of becoming a Golf Professional and Full Member of the PGA.